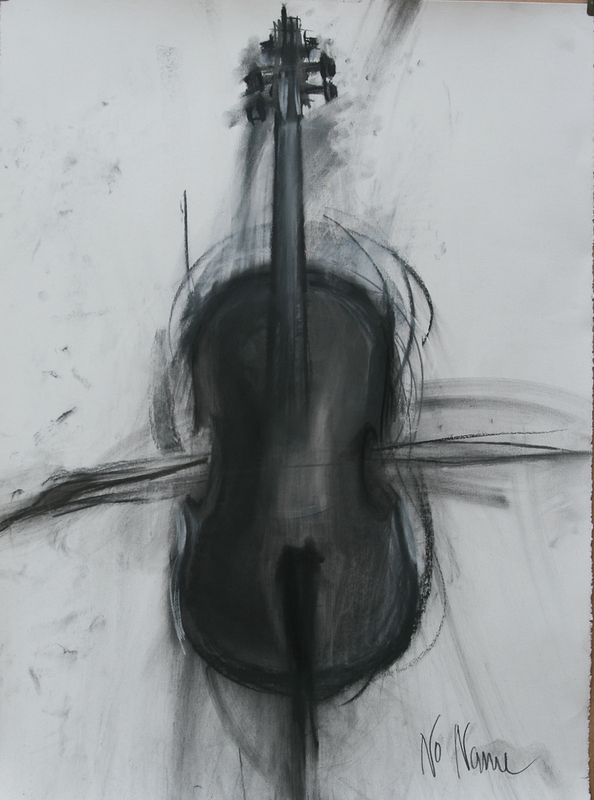 In these series of mainly charcoal works my inner desire was to create something sacral. While working on my instruments, I went through different thoughts and emotions connected with them. Every instrument has its own soul and every instrument represents a unique character. My work is also an allegory of my feelings. In the destiny and live of every person there is some sadness. My drawings symbolize the important meaning that music has for me, for all of us. They reflect my true feelings about life. I was looking for formal simplicity, for the basic essence, for purity in some degree in which the viewer will be able to accept and understand my work immediately with all its allegorical content, to agree to bow in front of music together with me.